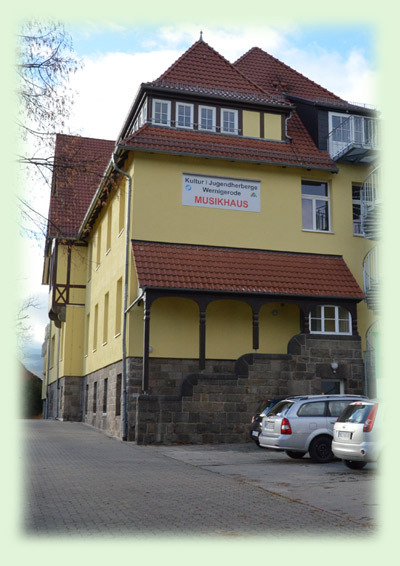 We are looking forward to seeing you all in the Youth Hostel Wernigerode! Of course, we want you all to find our location without problems. Therefore, we have written up some detail information for you about how to get there. +51° 49' 33.30", +10° 45' 13.33"
The one that has the easiest connection is Hannover Langenhagen (HAJ). 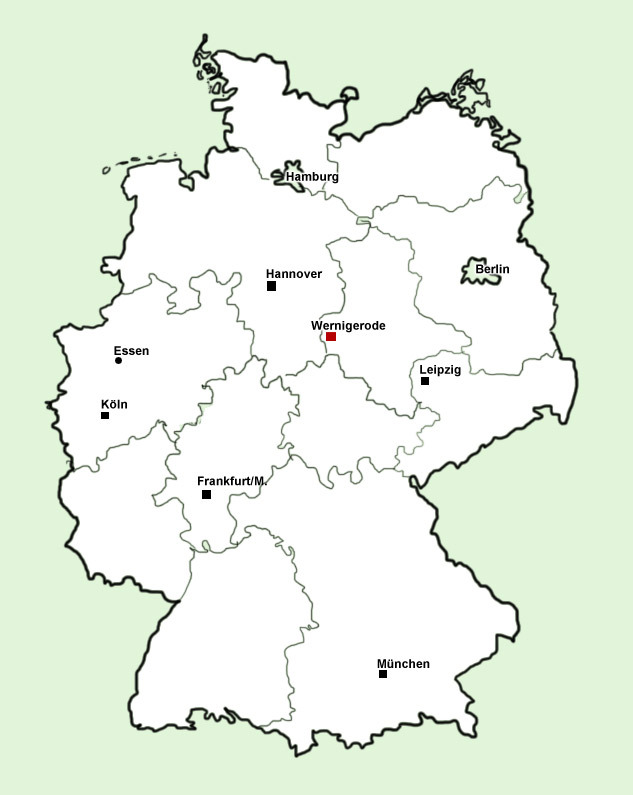 From there, take the train to Hannover Hbf and change there towards Wernigerode (for some connections, you need to change trains at Braunschweig Hbf / Vienenburg, some go directly from Hannover without train change). See below (by train) for more details. Ticket sales for journeys in October start around 6th July 2014. Take the train to station "Hauptbahnhof Wernigerode"
From the bus stop "Hochschule Harz" it is about a 500 meter walk to the youth hostel. There is signage. After the orange house (bakery) turn right and follow the road "Am Eichberg" which takes a slightly left curve uphill. The youth hostel is on the right hand side. Take the exit "Wernigerode Zentrum"
After the bus stop "Hochschule Harz" look for an orange house (bakery) and turn right afterwards.Follow the road "Am Eichberg" which takes a slightly left curve. The youth hostel is on the right hand side. then go over to description "coming from Hannover / A2"